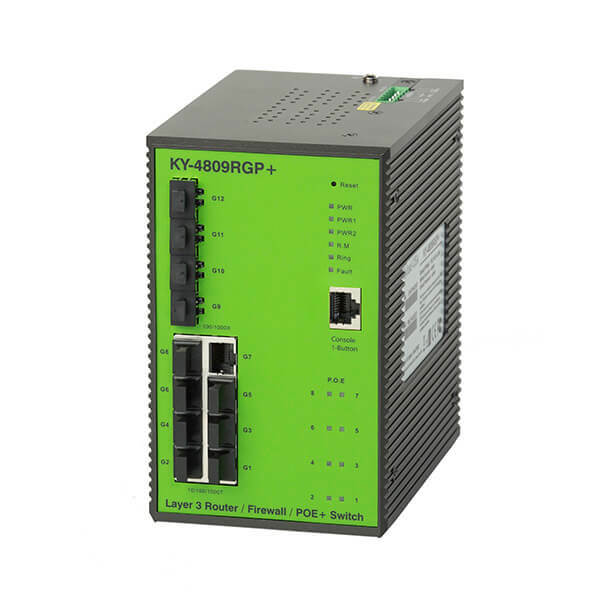 The KY-4809RGP+ is a High Security & High Performance Ethernet router designed by DYMEC for rugged industrial applications. RPS Secure Router 16 Mb The all gigabit port router combined with Power Over Ethernet + is an easy to configure Layer 3 routing switch with 4 X 100/1000 SFP uplink ports. Dual DC Inputs for redundancy . and low cost,make this the ruggedized router of choice for layer 3 applications. Temperature hardened with every port surge protected. Supports IEC 62439-2 MRP for redundant application support. 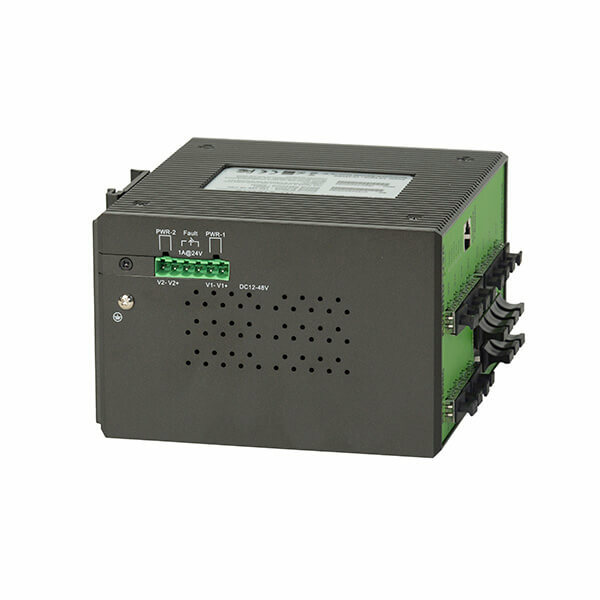 This is a Certified Secure Router and is designated a High Security Ethernet (HSE) device. 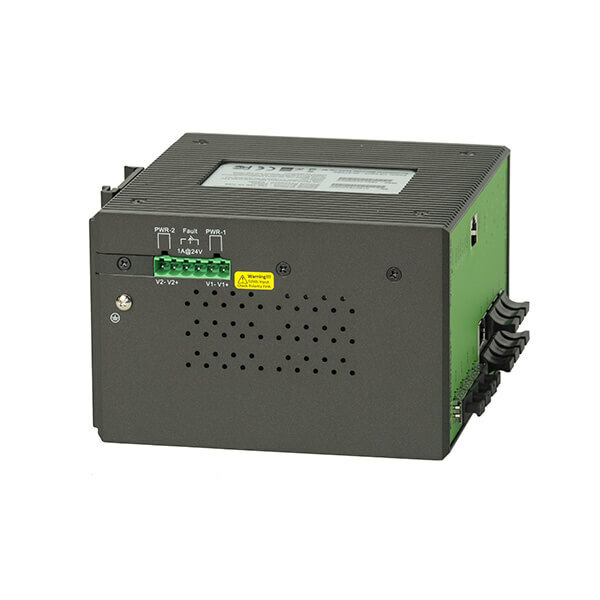 The routing switch has full DHCP and IEEE 1588v2 timing capabilities. Supports TACACS+, LLDP, SMTP, Radius and port authentication. and lockdown. Easy configuration, backup and restore. Supports HTML / ASCII file edits over TFTP, SFTP, and Telnet. 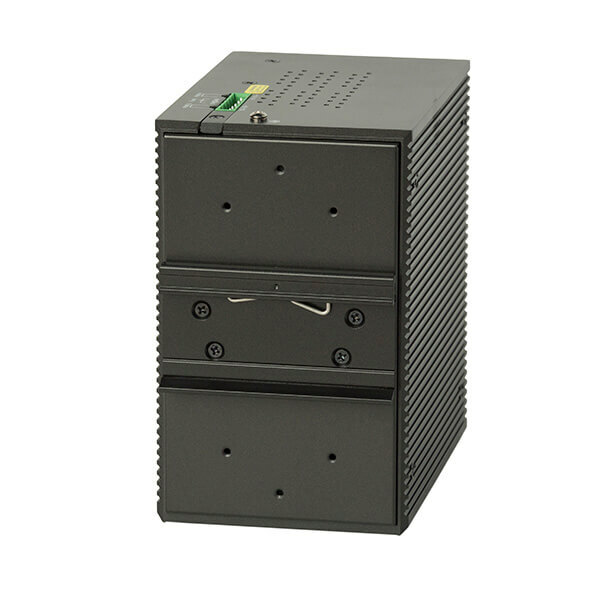 Supports 1-Button Backup and Restoral for complete configuration maintenance. No PC is needed for configuration or hardware replacement.